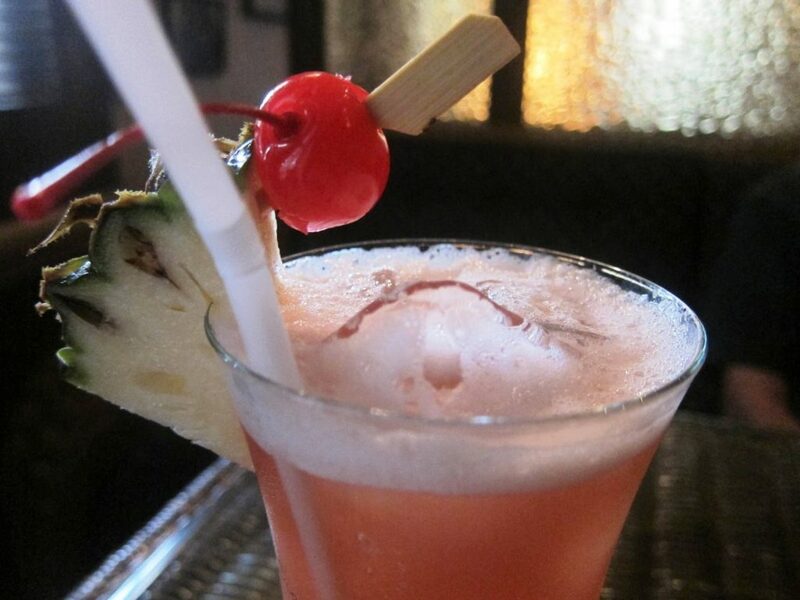 Have you ever had a Singapore Sling? 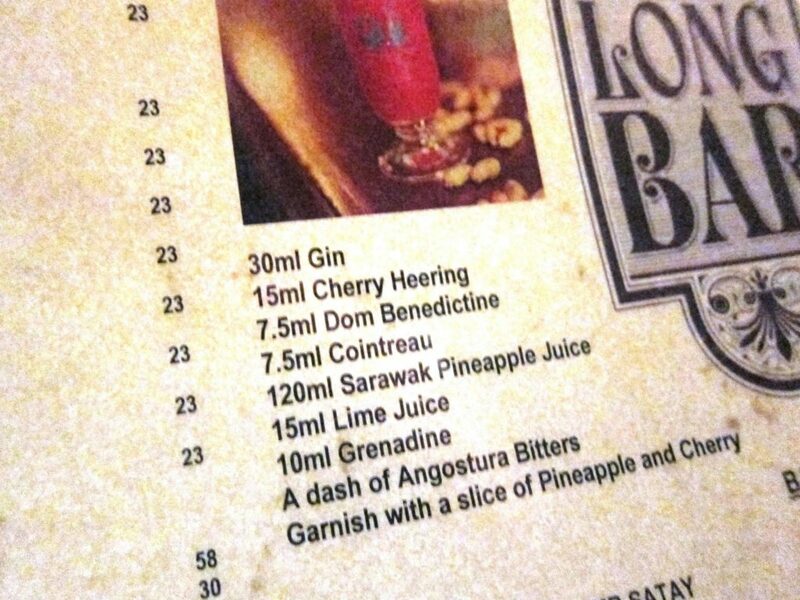 I’ve never been a great fan of cocktails.But then, I’ve never had a Singapore Sling! 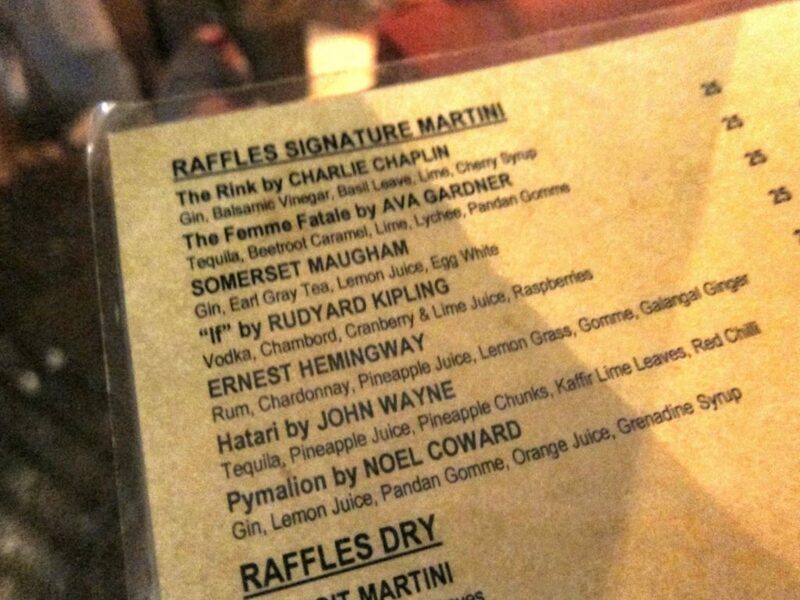 But then, I’ve never had a Singapore Sling! 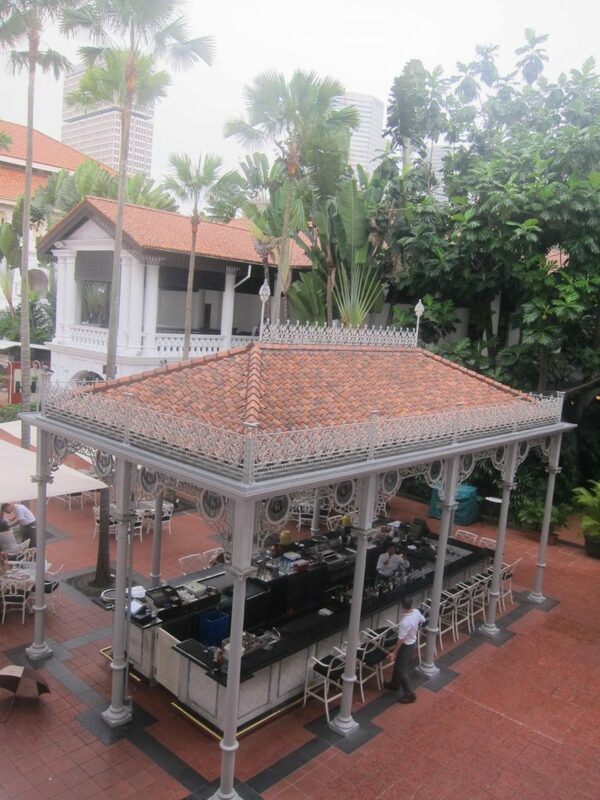 And certainly never one at the legendary Raffles in Singapore itself! What a drink! What a totally fabulous place! 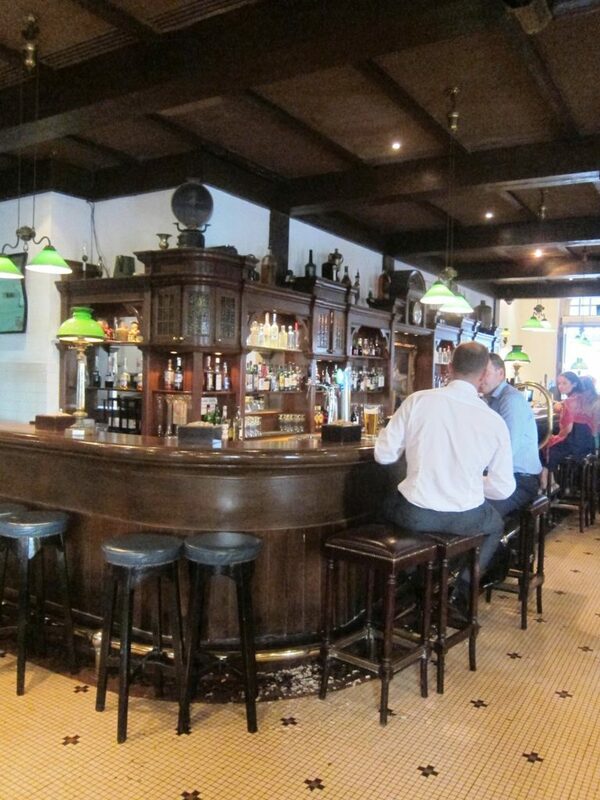 If you ever visit Singapore, don’t hesitate to visit Raffles, that last bastion of the British Empire, almost hidden though it is in the dense jungle of high-rises. It is still magical. So evocative of the days of the Raj, days of punkah-wallahs, peanuts strewn on the floor, birds swooping down onto the floor to eat their fill from the casually discarded nutshells. And part of the iconic Long Bar indoors ..
We were told that between 2 to 3 huge sacks of peanuts containing about 30 kilos each are used every day. We were actively encouraged to drop our peanuts on the floor …We were also told by our delightful Indian waiter that approximately 1000 slings costing about 28 Singapore dollars each are consumed every day! Work that out …. 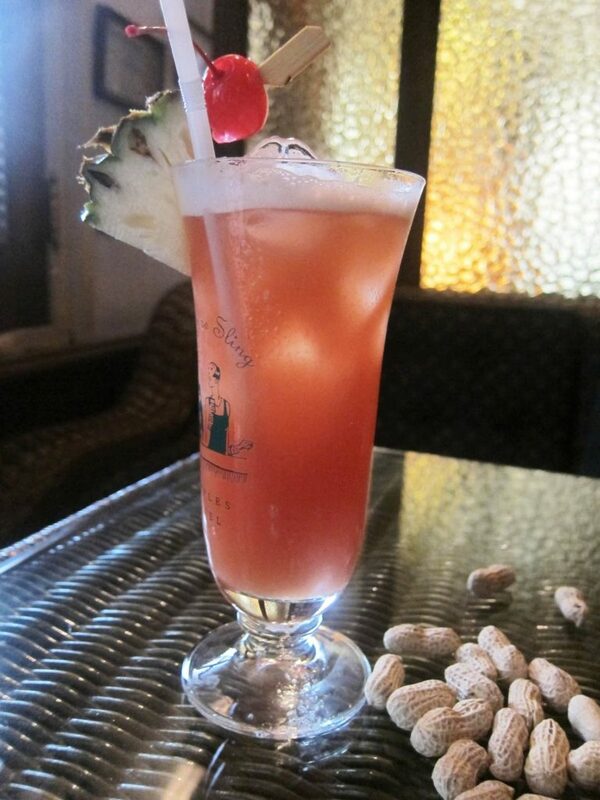 A Singapore Sling is the quintessential South-east Asian cocktail and Raffles, named after Stamford Raffles, the founder of modern Singapore, is THE place in which to drink it. You will love it just like I did: all those memories of Somerset Maugham and Rudyard Kipling …it is nostalgia at its absolute best. How attractive does this cocktail look with the froth and slice of pineapple and cherry on the side? Here are the magical ingredients! 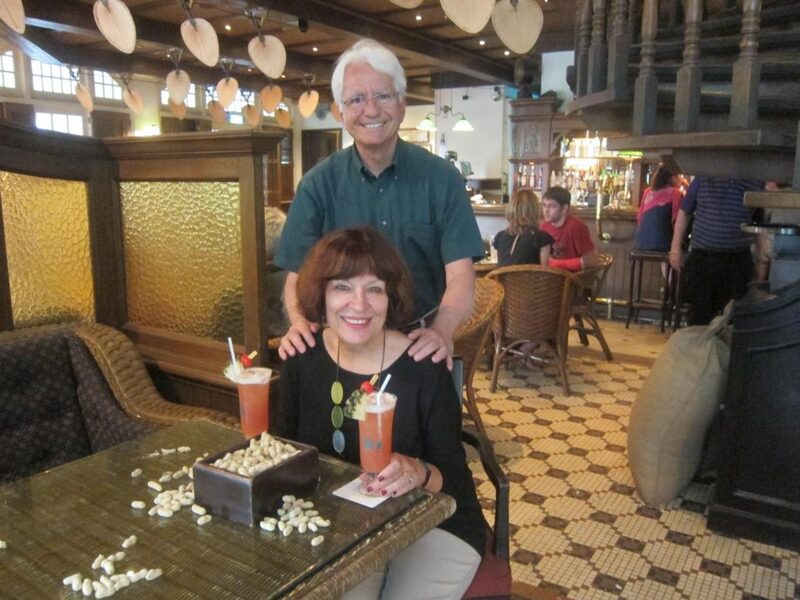 But here we are with our Singapore Slings and enjoying every minute of the experience! Previous Post: « Orchids in Singapore – yes, really! you two sure look like you are having fun! i would like a singapore sling right now. it is noon here…that's not too early is it? I would say anytime is Singapore Sling time myself …!!! Claudia, Your writing evokes the whole experience so well with your historical, literary and culinary references. And the photos are great, especially the closeup of the drink itself. What fun. Both of you look so happy. Wish we could share one together one of these fine days….!!! I love Singapore Slings…when I was in University they were very popular here among the girls. You look like you are really enjoying your trip. I'm exhausted from my 6 to 7 week vacation.